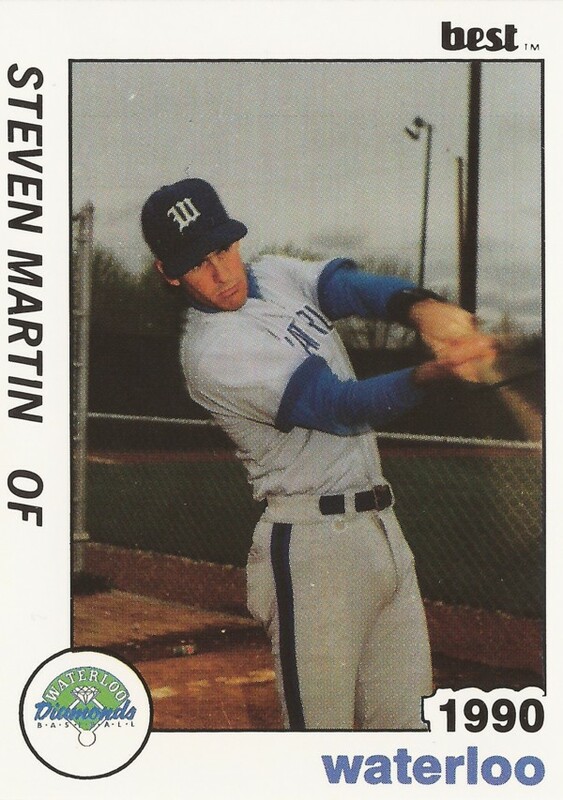 In Australia honing his skills, Padres farmhand Steve Martin saw playing in the fledgling Australian Baseball League as opportunity to play in a competitive league and stay polished over the winter. As far as playing on the road - really on the road - Martin found it similar to playing in the minors back home. "You get used to life on the road as a pro baseball player," Martin told The Associated Press in January 1992. "It's a different way of life and it takes a strong character to live with it." Martin lived with it for five seasons. He got to live with it as high as AA, but he never got to the majors. Martin's career began in 1989, taken by the Padres in the 16th round of the draft out of Arizona State. With the Sun Devils, Martin had played both baseball and football. Martin had been the Sun Devils' starting wide receiver, The Spokane Chronicle wrote, before turning to baseball in spring 1989. He helped Arizona State to a March win with a home run. He then signed with the Padres for a $70,000 bonus. With the Padres, Martin started out at short-season Spokane. He hit .251 on the season, with two home runs and 24 stolen bases. Four of those stolen bases came in a July 6 contest at Salem. His season, though, started off cold. He went 1 for his first 29 and committed nine errors in his fist 10 games, The Spokane Spokesman-Review wrote. By August, though, he'd picked it up, hitting .291 since then. "I'm not where I want to be," Martin told The Spokesman-Review, "but I feel I've improved." For 1990, Martin played at single-A Waterloo, hitting .251 again, with nine home runs and 31 stolen bases. In 1991, it was high-A High Desert, a .268 average and and 42 swipes. After his trip to Australia, though, the Padres sent Martin to the Orioles in a four-player deal that sent Craig Worthington the other way. Martin's stay in the Orioles' system was a brief one. After 21 games at AA Hagerstown, Martin found himself back with the Padres, at AA Wichita. Between them, he hit just .202. One more season, 56 games with the Angels at single-A Cedar Rapids, and Martin's career ended, short of the majors.